Whether you are looking in the metropolitian Denver Area or outlying areas, our Search Property feature will help you find that perfect new home. Veterans and Active Duty Personnel, do you know what benefits you have regarding purchasing a home? If not, let me help. As a veteran myself, I have used my benefits and also have assisted others in getting a home. Don't be fooled by people telling you it is difficult. Home ownership using your VA benefit will get you into a home with no money down. 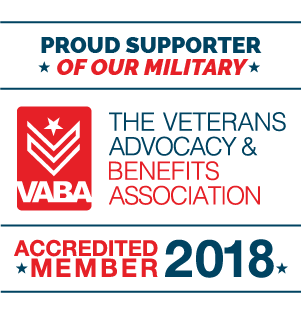 As a member of the VABA, your next home is right around the corner. Are you looking for that new home near Buckley AFB or are you being re-assigned to another duty station? Email me or call so we can meet up. Using current technology we can meet and I can show you a home even if you deployed outside CONUS. Are you a PILOT looking for a home or property where you can have a home and hanger, plus have a runway that you can use to come and go as you please? Check out the various airpark properties available at Colorado Airparks. We show properties at Van Aire, Parkland Estates, Erie Airpark, Kelly Airpark, Meadow Lake Estates, Silver-West Estates, Golden Field, along with other known private airfields. Be sure to check my YouTube videos for selected airpark properties. Selling your home and want to know it's value on today's market. Fill out our CMA Request form for a free property analysis. Contact us as well through our online contact form. Are you in need of a lender, appraiser or other professionals. Check the Professional Services section for respected companies.